Third Circuit Chief Judge D. Brooks Smith and Judge Stephanos Bibas shared guidance on appellate advocacy yesterday, and I feel sorry for anyone who wasn’t there. Both judges emphasized the Third Circuit’s collegiality. Judge Bibas said he realized upon joining the court that it’s reputation was “not just advertising,” it indeed is an “intensely collegial place.” Chief Judge Smith described the court’s collegiality as “extraordinary” and something he believed in with “almost religious intensity.” Any lawyer familiar with the Third Circuit knows it lacks the interpersonal fireworks of some other courts, but hearing the two judges talking about it yesterday drove home for me in a new way how central its collegiality is to the Third Circuit’s identity. Chief Judge Smith described how he “enjoy[s] a really good brief.” (Every lawyer in the room secretly knew it was their briefs he had in mind.) He said he wakes up early, puts on coffee, and settles in with his dog to read briefs, and when it’s an excellent brief he “genuinely enjoy[s] it.” He wryly observed that he prefers briefs whose sentence structure is modeled more on Hemingway than Faulkner. Judge Bibas spoke of the importance of repeat players protecting their credibility. He suggested counsel take on their cases’ weaknesses head-on instead of trying to hide them. He also encouraged lawyers to use an understated, respectful tone, honoring the “intense presumption” that people coming to the court offer their arguments in good faith. Later, he observed that lawyers who file briefs with shrill, intemperate language are less likely to get oral argument because the judges are less confident their arguments will assist them. Chief Judge Smith prefers it when lawyers cite state-court sources as authority for what state law is. Citing federal cases for the meaning of state law strikes him as disrespectful to state courts, but he admitted being sure he was an outlier on this point. When he was an advocate, Judge Bibas was a firm believer in oral argument moots, holding five or six of them for one case. Chief Judge Smith mentioned that he does not see briefs that set out arguments why the court should grant oral argument in the case, and said this is something more lawyers could do. He explained that he didn’t mean a boilerplate request for argument, but rather explaining why counsel wants argument, something specific to the case or issue. I’m sure my scribbled notes don’t let me do full justice to the judges’ comments, but it was a terrific program. The judges’ panel was ably moderated by Nancy Winkelman, formerly a top appellate practitioner at Schnader and currently interim head of the Philadelphia District Attorney’s office’s law department. In addition to the two judges’ presentation, the program also included an attorney panel that was two-thirds dynamite, with certified superstars Elise Bruhl of the Philadelphia Law Department and Nilam Sanghvi of the Pa. Innocence Project, plus me. The lawyer panel was moderated gracefully by Chip Becker. This program was the third in a continuing series of advocacy CLEs that the Third Circuit Bar Association is putting on in locations around the circuit, following similar events last year in Wilmington and Harrisburg. Next up? To be decided. We’re fortunate in the Third Circuit to have judges who engage with the bar and share their perspectives on how to improve the quality of representation that litigants receive. Lawyers, don’t pass up these real opportunities when they come. This entry was posted in 3d Cir Bar Assoc, Events, Judges, Oral argument, Writing on March 7, 2019 by Matthew Stiegler. Next Wednesday in Philadelphia, Third Circuit Chief Judge D. Brooks Smith and Judge Stephanos Bibas will be the featured presenters at a CLE program entitled Effective Third Circuit Advocacy. The event is co-sponsored by the Third Circuit Bar Association and the Philadelphia chapter of the Federal Bar Association. Registration is open now at this link. Registration is $25 for members of 3CBA and/or FBA, $50 for non-members. Discounted registration is available for law students and public-sector and public-interest attorneys. Besides Chief Judge Smith and Judge Bibas, also presenting will be Chip Becker of Kline & Specter, Elise Bruhl of the Philadelphia Law Department, Nilam Sanghvi of the Pennsylvania Innocence Project, Nancy Winkelman of the Philadelphia District Attorney’s office, and me. This is the third in a series of advocacy CLE events that 3CBA has co-sponsored. The first two events—in Wilmington, Delaware, featuring Judges Jordan and Roth, and in Harrisburg, Pennsylvania, featuring Judges Vanaskie and Krause—were both fantastic. If you’re able to attend this one, you’d be foolish not to. CLE registration is capped, so register now. This entry was posted in 3d Cir Bar Assoc, Events, Judges on February 26, 2019 by Matthew Stiegler. Simpson takes over the presidency from Charles “Chip” Becker of Kline & Specter. Becker led 3CBA through two dynamic years as the group participated in the Court’s 2017 judicial conference, added four strong board members (Nilam Sanghvi of the PA Innocence Project and Penn Law, Tieffa Harper of the Delaware federal defender, Katherine Romano of Walsh Pizzi, and me), made progress towards a retooled website, and started a popular series of judge-led advocacy CLEs. If you’re not already a 3CBA member, you ought to fix that. If you’re already a member and you’d like to get more involved by, say, helping with CLE events, writing a piece for the newsletter, or being considered for a future board opening, just reach out to me or any of the other board members. To Chip, thank you for two dynamite years at the helm. And to Andy, congratulations and good luck! This entry was posted in 3d Cir Bar Assoc on January 15, 2019 by Matthew Stiegler. Two Third Circuit judges spoke yesterday at a CLE event on effective appellate advocacy, and they had some mighty interesting things to say about how the court is responding to criticism that it isn’t granting oral argument often enough. Yesterday’s CLE was a tremendous event, sponsored by the Third Circuit Bar Association. (But I’m biased, since I’m on the 3CBA board and was one of the program’s organizers.) Judges Vanaskie and Krause presented on one panel, with David Fine moderating. The other panel was three dynamite appellate lawyers —Nilam Sanghvi, Craig Shagin, and Sara Solow, moderated by Tom Schmidt. I learned a lot, and all the attendees I spoke to afterwards were glad they came. Organizational boosterism aside, if you practice much in the Third Circuit, you really should make every effort to attend programs like this. To put it in some context, this came up about halfway through the judges’ panel, I believe they discussed this topic at greater length than any other, and the judges seemed clearly to have come prepared to address it. The issue came up when Fine observed that the circuit’s rate had fallen from past years and asked the judges whether they saw the decline in arguments as positive or negative. Judge Krause tackled it first, and she began, “We listen.” She said the judges have been hearing those in the bar (“Mr. Stiegler and others,” she said, and I blushed) who’ve raised the issue. She acknowledged at length the benefits of holding more arguments: to the parties, to the bar for professional development, to the public at large to see their judiciary in action. And, not least, to the nation itself, so that constituents, the bar, and the public understand the importance of separation of powers, balance of powers, and “an independent judiciary,” emphasis hers. So, she said, there are lots of reasons to have more arguments, and she emphasized that the judges of the court now discuss this issue regularly. And, she explained, the number of Third Circuit oral arguments has in fact gone up. I was especially interested to hear this, as regular readers will know, because the AOC’s most recent public stats about this are sadly useless. She said that in 2016 the Third Circuit held 201 oral arguments, while in 2018 it held 255, an increase of almost 30%. (I haven’t independently confirmed that data, but I’m certain if she said it then it’s correct.) Other circuits’ recent argument numbers did not increase, she noted, which suggests that the increase was the product of the judges’ deliberate choice. Finally, Judge Krause said that she expected the number of Third Circuit arguments to continue to increase. She said that judges are joining the court with recent experience in the bar who share that perspective, by which I believe she meant the bar’s perspective about the value of argument and the need for more of them. Judge Vanaskie largely echoed Judge Krause’s comments. He agreed that “certainly” the judges have had discussions about the frequency of oral argument. He explained that deciding how many arguments to hold was a balancing act. When preparing for each argument, he said, the judges take an extremely deep dive into the case. It takes a lot work to be that well prepared, and doing it for every case the court decides isn’t feasible. As it stands now, he said, every lawyer knows that when the court grants argument it is extremely important, that the panel is troubled by the case and not of one mind. And he believes holding argument in every case would be a mistake, because it would dilute its importance and add to the expense of an appeal for all clients. Judge Vanaskie reiterated that the issue is under active consideration in the court. He said that at every judges’ meeting now there is some discussion about it. He said the judges are open to listening. Finally, Judge Krause contrasted the Third Circuit’s practice to the Second Circuit’s, where argument is held in most cases but the lawyers sometimes get only five minutes. She asked whether (and I’m paraphrasing from memory here) arguments that short really help enough to justify their cost and said she did not believe so. Fascinating and remarkable, and not, I suspect, the last word in this conversation. This entry was posted in 3d Cir Bar Assoc, Events, Oral argument on September 6, 2018 by Matthew Stiegler. Next month, the Third Circuit Bar Association will put on a free CLE on federal appellate advocacy in Harrisburg, PA. The featured presenters will be Third Circuit Judge Thomas Vanaskie and Judge Cheryl Ann Krause. The program also will include a panel of expert appellate practitioners. It’s a terrific opportunity to hone your skills and to meet practitioners and judges. And it’s free, with lunch provided. The program and lunch are free, but registration by August 31 is required. To register, email me at Matthew@StieglerLaw.com with your name and address. And if you’re not a current 3CBA member, now’s a great time to join or renew, link here. This entry was posted in 3d Cir Bar Assoc, Events, Judges on August 14, 2018 by Matthew Stiegler. This Wednesday, January 10, Third Circuit Judges Kent Jordan and Jane Roth will be among the presenters at a CLE program on effective Third Circuit advocacy. And, to ring in 2018, the organizers are waiving the registration fee. The program will be held at the federal courthouse in Wilmington, Delaware, on the third floor in the jury selection room. You will need a government-issued ID to enter the courthouse. The program will be from 3 to 5 pm with refreshments after. DE and PA CLE credit approval is pending. More details are in this earlier post. To register, email me at Matthew@StieglerLaw.com. Please share this post, and I hope to see you on Wednesday. This entry was posted in 3d Cir Bar Assoc, Events, Judges on January 5, 2018 by Matthew Stiegler. No one is born knowing how to tell compelling stories in their statements of the case. No one’s first oral argument is an elegant symphony of understated persuasion. Even the best Third Circuit advocates, lawyers like Peter Goldberger and Nancy Winkelman and Donna Doblick, work very hard to continue learning and improving. Appellate advocacy isn’t a talent, it’s a skill. The program will take place on Wednesday, January 10 from 3 to 5 p.m. with refreshments afterwards. It will be held at the Federal Courthouse in Wilmington at 844 N. King Street. To register in advance, email me at Matthew@StieglerLaw.com. (I’m a 3CBA board member and one of the event’s organizers, along with Nilam Sanghvi and Kelly Farnan.) In your email, include your name, business address, and state(s) of admission. This should be a terrific event. I’m going, and I hope you can, too. This entry was posted in 3d Cir Bar Assoc, Events, Judges on December 12, 2017 by Matthew Stiegler. Want to be a Third Circuit bar association board member? There are two openings on the Board of Governors for the Bar Association of the Third Federal Circuit. If you’re interested in joining the board, express your interest now. I’m a 3CBA board member, and I enthusiastically encourage anyone passionate about Third Circuit practice to consider it. It’s a privilege and a real pleasure getting to work with the remarkable folks on the 3CBA board. 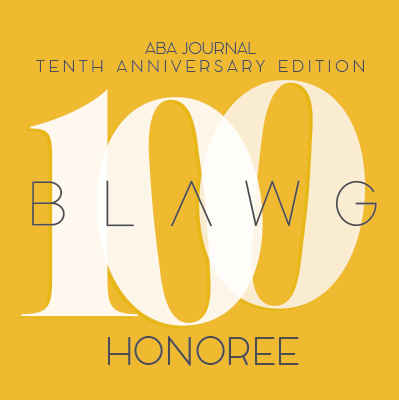 3CBA does lots of good work — putting out a circuit practice guide and a newsletter, putting on circuit-conference programming, organizing CLEs with Third Circuit judges and appellate experts, and more — and you can help us do it better. While anyone is encouraged to express interest now, we anticipate filling the two current openings with one candidate each from Delaware and New Jersey. To express your interest, send an email to 3CBA’s president, Chip Becker, at Chip.Becker at klinespecter.com. And if you’ve read this far and you’re not a 3CBA member yet, well, egads. The link to join is here. And do it fast, dues are going up in 2018 but are still just $40 until then. This entry was posted in 3d Cir Bar Assoc on December 7, 2017 by Matthew Stiegler. The November 2017 issue of On Appeal, the newsletter of the Third Circuit Bar Association, is now available online at this link. It features articles by Donna Doblick on Chief Judge D. Brooks Smith’s portrait ceremony and by Devin Misour on Clerk of Court Marcia Waldron’s retirement announcement. Since new presidents are on everyone’s mind today, it’s a fitting day to note the change in leadership at the Third Circuit Bar Association. This month Charles “Chip” Becker became 3CBA president. Becker is a partner at Kline & Specter, leading the firm’s post-trial and appellate litigation work. His father was legendary Third Circuit Judge Edward Becker, and he is a top appellate lawyer in his own right, playing a major role in recent years in litigation arising out of the antipsychotic drug Risperdal and the 2015 Amtrak derailment. One of his first tasks as president will be leading 3CBA’s support of the circuit’s judicial conference in April. Becker is a superb choice for 3CBA president and I look forward to seeing all he accomplishes. Becker succeeds Peter Goldberger, who led 3CBA as president since 2014. Goldberger is the founder and principal of a three-lawyer firm in Ardmore, PA, focusing on appeals and post-conviction aspects of federal criminal cases nationwide. In 2015 Goldberger added to his extraordinary record of appellate accomplishment by successfully defending in the Third Circuit his post-conviction exoneration of Han Tak Lee. He is the 2015 recipient of the National Association of Criminal Defense Lawyers’ prestigious Robert C. Heeney Memorial Award and 2016 recipient of the Federal Criminal Law Committee for the Eastern District of Pennsylvania Clifford Scott Green Bill of Rights Award. The association has benefited tremendously from his fine leadership as president. In our polarized age, there aren’t many folks who think the world of both our last US president and our next one. It’s good to remember today that 3CBA has been, and will continue to be, led so well. This entry was posted in 3d Cir Bar Assoc on January 20, 2017 by Matthew Stiegler. Peter Goldberger, President of the Third Circuit Bar Association, has summarized for 3CBA members the changes to the federal appellate rules that went into effect last week. It’s a tremendously helpful overview, and he’s generously given permission to post it here. All of us have grown familiar with the time-counting rule under which 3 days were added to the time otherwise set for responding to a document, such as a brief or motion, that was not hand-delivered to us, whenever by rule or order that time period was to be measured from “service” of that document. This additional allowance was based on the typical time that it was understood it takes for first-class mail to be delivered. As of December 1, the federal appellate rule is amended (in parallel with changes in the civil and criminal rules) to treat electronically filed documents as if they had been hand-delivered; that is, three days will no longer be added to the time to respond to motions and briefs that are served through the court’s electronic filing system. Since this effectively shortens the time for responding in many instances, it is important to be aware and plan accordingly. As of December 1, the allowable length of briefs and certain other documents, as measured by word-count, has been reduced. Most notably, the permissible length of a principal brief is reduced from 14,000 words to 13,000 words, and for reply briefs from 7000 words to 6500 words. The allow­able length of a petition for mandamus changes to 7800 words. An amicus brief is limited to ½ of the size of a principal brief. For a motion or response to a motion, the limit is 5200 words (or 20 pages). (This will sometimes be an increase over the previous rule.) Rehearing petitions will now have a 3900-word limit. As mentioned, there are other details in the Court’s notice. Notably, unlike some other Circuits, the Third Circuit has neither opted out of any of the national changes, nor will it alter its existing practice or standards for judicial review of motions to exceed these new and reduced word limits. The revised limits apply to pending cases, except that where the appellant’s opening brief was filed prior to December 1, the new limits do not apply to the appellee’s brief or appellant’s reply. The Court has also rescinded the previously-available option (“Option B”) of filing the appendix entirely on paper, and not via ECF. All appendices must now be filed electronically. Certain of the Clerk’s fees for services have increased as of 12/1/16. Notably, the list of changes does not include the filing and docketing fees for appeals and petitions. Most of these changes will be discussed in more detail in the 3CBA’s forthcoming newsletter. As always, the Board thanks you for your membership and participation in our Association. This entry was posted in 3d Cir Bar Assoc on December 5, 2016 by Matthew Stiegler.